Ideas, opinions, how-to's, and other discoveries related to virtually any product, but usually web products and often education technology products. 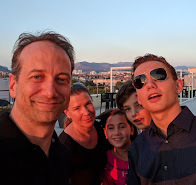 At the @NJECC conference this week, my friend @mr_isaacs told me he was using Blogger.com as his blogging platform for EdTechBridge, but was unhappy that the "Next Blog >>" link at the top took his readers - many of whom are students - to a random blog which they may not find appropriate. 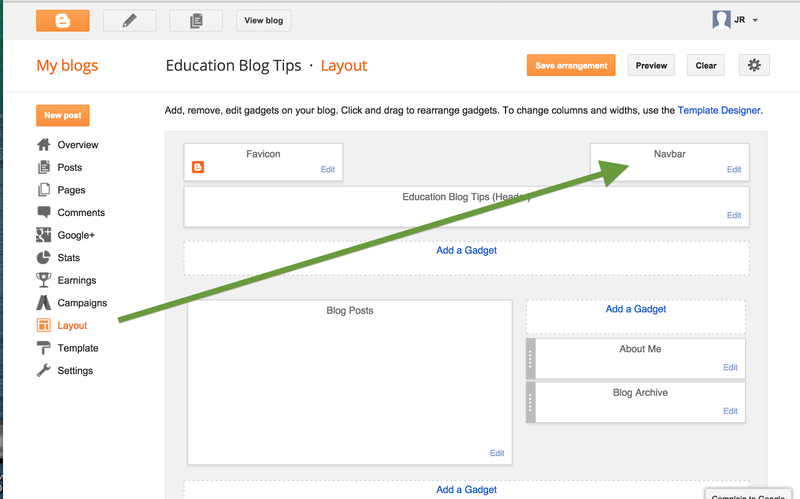 In outlining a solution for him to turn this off, I realized there are probably other things that are worth suggesting for educators looking to use Blogger.com as a free and incredibly easy way to get their blog hosted (see *CAVEATS at bottom of post). STEP 2: There should be a "NavBar" box in the upper right of the layout - click the "edit" link in that box to change the Navigation Bar. 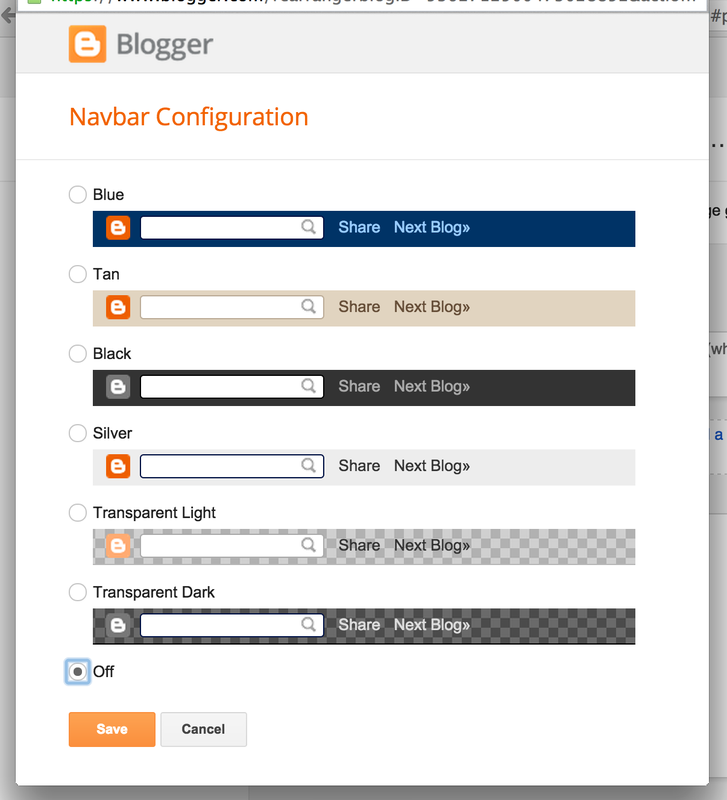 STEP 3: In the dialog that shows the different "NavBar" options (which are all really just different color schemes), select the last option, which is "OFF" - and click "Save" in that dialog. STEP 4: Click the "Save Arrangement" button to save your changes, then Click the Preview button to check your changes - you should see no navigation bar at all. STEP 3: In the dialog that shows, scroll down to find the "Search Box" gadget, and click the big blue "+" button - then click SAVE on the bottom of that dialog. 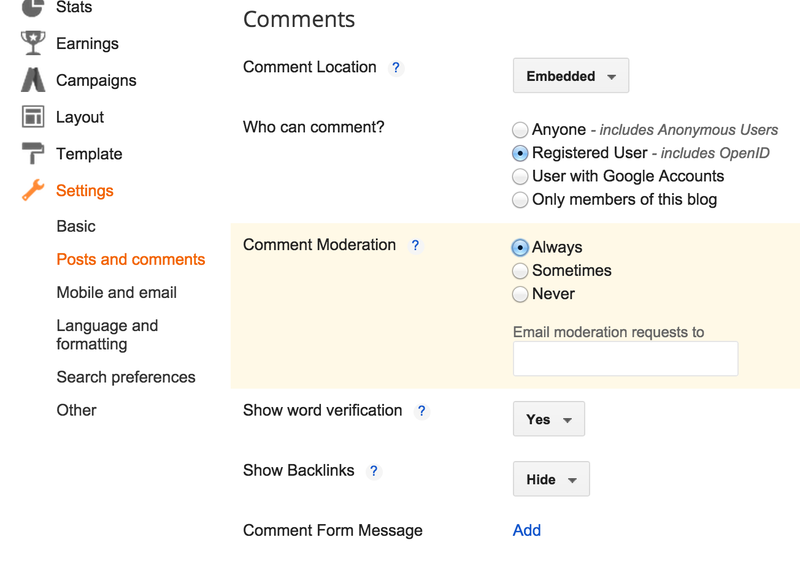 STEP 3: Under "Comment Moderation", click the "Always" option (the default is "never") and click the "Save Settings" button in the upper right. NOTE: You can also turn off commenting completely for a specific post by using the "Post Settings" on the right side of the post editor when you are writing a post (or editing the post later). NOTE: Only do this if you intend your blog to be private to a small, defined group of people who log in. Making your blog private makes it much harder for people to find and read - so only do this if that is your intention. STEP 3: Under the "Privacy" section, click "edit". 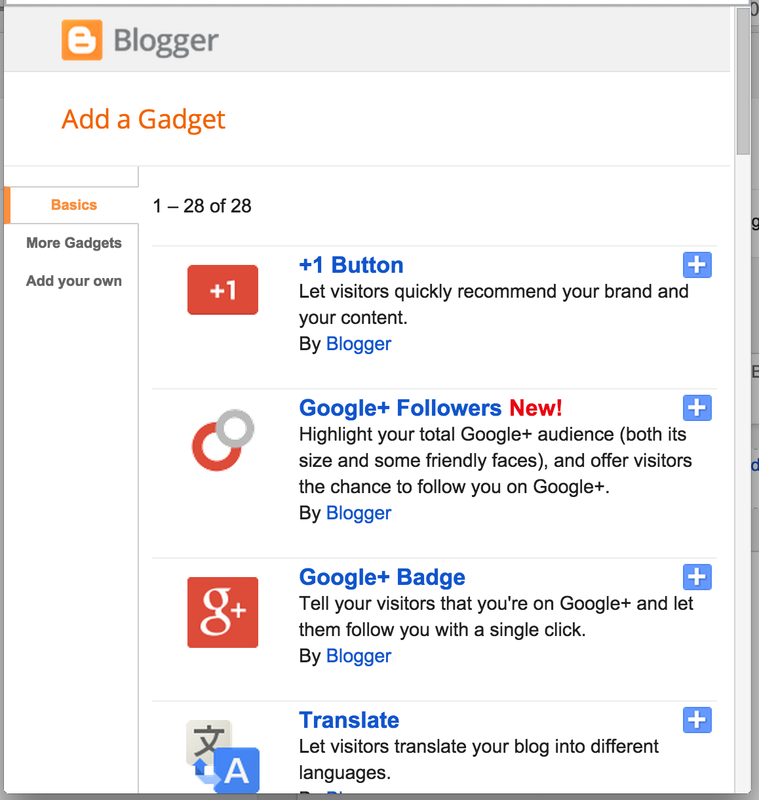 In both options "Add your Blog to our listings" and "Let search engines find your blog", click the "NO" option. Then click "Save Changes". STEP 4: Under "Publishing"/ "Blog Readers", click "edit" and select the option you prefer - refer to this blogger help article for more information on these options. Then click "Save Changes".